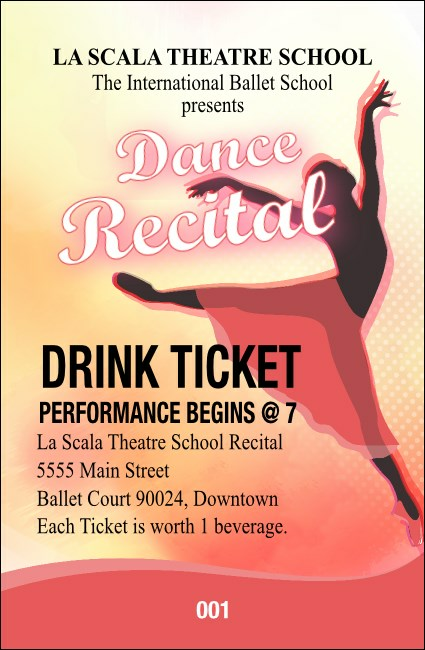 Point your guests in the right direction and quench their thirst when you give them Dance Silhouette Drink Tickets at your next recital event. Each ticket template features a beautiful blended pastel background in pink and soft peach, and shows the silhouette of a dancer gracefully holding a pose. Find the right ticket to express your best attitude at TicketPrinting.com.